Get exposure to your website on one of the largest CPA/MMO forums on the planet with an Alexa rank under 30k and over 2000-3000 members online at any one time. I'm also a moderator on the forum and post daily, so my signature is seen often and my recommendations are taken seriously by the members. This works best if your site is related to making money online, CPA, IM or webmaster related. I won't accept anything adult or inappropriate to the audience. Please note that only members can see your link, as my listing is about exposing your link to interested members that are highly targeted within your niche, and is NOT about backlinking. My basic listing is $4 for your link in my forum signature for a period of 30 days with up to 6 words of anchor text. PM me for the name of the forum, as I don't want to post it in the open. See my extras below for more time. Thanks!. 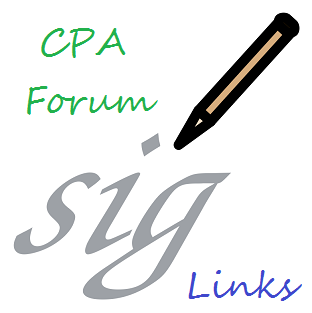 Make Money Online CPA Forum Signature Link is ranked 5 out of 5. Based on 21 user reviews.